My latest post for the Kirkus Reviews Blog is now online! This time, we look at English author Olaf Stapledon and his legacy. This wasn't the post I'd intended on writing. Originally, this spot had been reserved for an examination of C.S. Lewis, and his Out of a Silent Planet trilogy. As this series has progressed, I've been finding a curious evolution of the science fiction genre, something that will continue on. From Mary Shelley to Edgar Allan Poe, to Jules Verne and to H.G. Wells, there's a facinating story of connections between one another. They found influences in themselves, carrying ideas forward in time, changed somewhat by each author's own sensibilities. Following Wells, we find Olaf Stapledon, who by his own words, was influenced by Well's stories, and in turn, inspired future authors, such as Sir Arthur C. Clarke. Lewis, I found, wrote in opposition of the two, and in a large way, was out of place in my plans. Stapledon was an interesting author, and the scale of his works and the themes behind them set him apart from just about everyone in the field at the time and since. Read Looking far, far into the future: Olaf Stapledon over on the Kirkus Reviews Blog! 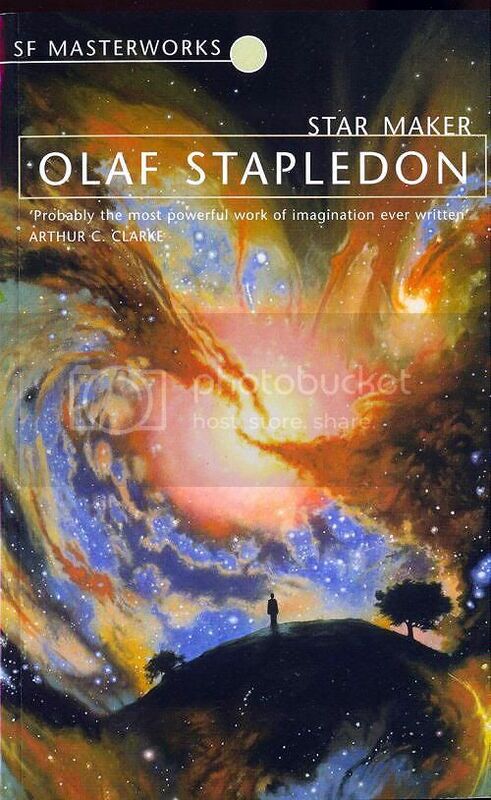 An Olaf Stapledon Reader, By Olaf Stapledon, Robert Crossley: This book contains an interesting series of articles on Stapledon and his writing, but of most interest is two letters that Olaf wrote to famed science fiction author H.G. Wells, where he talks about how the former influenced him. The Olaf Stapledon Online Archive: Located here, the site for Stapledon contains a fairly good biography on the author and some of his works, which provided a good starting point for the biographical elements of this piece. Last and First Men / Last Men of London, Olaf Stapledon: This collected version is a book that I picked up on a whim a couple of years ago, and read through Last and First Men. An interesting story, it was of particular use when coming to understand the scale and scope of Stapledon's efforts - it's a very different, but highly recommended novel. Arthur C. Clarke: The Authorized Biography, by Neil McAleer: This biography of Clarke helped to confirm that Clarke was influenced by Stapledon's works. Survey of Science Fiction, vol 3 & 5, Frank Magill: This book as usual, is a particularly useful resource in looking up specific meanings and critical reviews of Stapledon's works. The History of Science Fiction, by Adam Roberts: Roberts devotes an entire glowing section to Stapledon's legacy, shedding some light on the author and his influences.